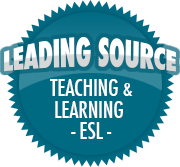 Useful Classroom Tip: Vocabulary Revision | So, You Think You Can Teach ESL? ← Whatever happened to direct instruction? Whether you teach large classes or small groups, revising vocabulary in a quick and simple way is always useful, especially when its all done by the students – all you have to do is to give them instructions, circle and monitor. 1. Put the students in groups of four ( I like to use Random Team Generator for this). 3. Each student will write an item of vocabulary that was covered in the previous lesson/lessons. The group has to cooperate so there is no duplicate vocabulary.